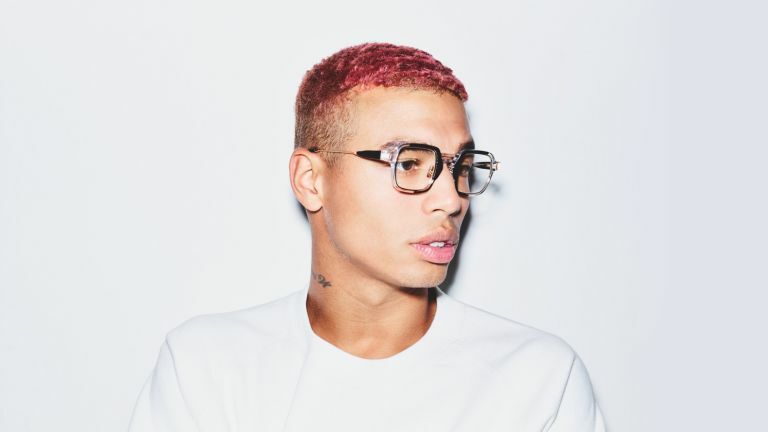 Kite are a design focused eyewear brand at the forefront of innovation – an opticians unlike any other in the world – basically, if Apple opened an optician, it'd look like Kite Eyewear in Shoreditch. Claiming to be the "world’s first Eyebar", the brand's flagship store on Redchurch Street makes eyewear shopping an enjoyable, premium experience. We've been to check it out. How has Kite turned going to the optician an enjoyable experience? For a start, you'll have a personalised one-on-one appointment with an expert stylist. He or she will take time to figure out what style frames you like, and also make recommendations based on your face shape, skin tone, clothing style etc. While you're browsing through the look book and trying on glasses, you'll be sipping on beverages from Bompas and Parr, depending on your mood that could be a simple coffee, a glass of Prosecco or a Kite Espresso – the store's signature drink. When it's time for an eye test (which are currently free) you'll realise this is a bit different than going down to your local Boots (if you hadn't already). Kite uses the latest technology to get the clearest, most detailed look at your eyes possible. The eye test starts with the Optomap retina scanner, which captures a 200-degree HD image of your eye (compared to the 45-degree image examined by most opticians). This allows Kite to see any issues in parts of your eye that most traditional scans would miss, and can detect everything from glaucoma and serious eye diseases through to high blood pressure and diabetes. Apparently you’ll struggle to find this machine anywhere outside of a hospital. Next up is the Zeiss i.Profiler Plus, which creates a digital map of the eye in under 60 seconds, and provides Kite's optometrists with the most precise eyesight prescription in the industry. That's not where Kite’s partnership with Zeiss ends though, because all of Kite's glasses contain the latest Zeiss UVProtect lenses. UVProtect are the world’s first truly UV protected clear prescription lenses. They block 100% of direct light coming towards the lens, while an anti-reflective coating absorbs light reflected off the inside of the lens. The brand believes that eyecare and a stylish frame should run hand in hand, so all prescription lenses are equipped with UVProtect technology at no extra cost. Check out Kite's website to browse the huge range of frames available, prices start at £150. Kite's most recent innovation is KiteONE – high precision 3D scanning technology and the latest generation 3D printing – which allows Kite to seamlessly micro-manufacture bespoke frames to your head and face measurements. KiteONE offers an opportunity to customise frames colours and detailing to suit your personal style.